Excellence is the standard, not a goal at Mountain View Hay & Cattle Ranch in Powell Butte. The 8,499± square foot executive home features 6 bedrooms and 4.5 baths, a wine cellar and views that will exceed your expectations! Three ponds, spectacular landscaping, including a beautiful water feature, fruit trees and more. The amazing 81,600± square foot equestrian facility is a horse lovers dream! Complete with 117 horse stalls, two indoor arenas, an office, three large tack rooms, spectator judging areas, a studio apartment, restrooms, built-in waterers, stainless steel stall fronts, concrete alleyways and two wash rack facilities. In addition, there is an outdoor cutting arena, a 36 stall heated mare barn, miscellaneous farm buildings, and 24 RV hook-ups. This ranch boosts excellent irrigated hay lands with 213 acres of owned/leased water rights with two large half pivots and one full pivot. The current owner has created a great market for quality hay! 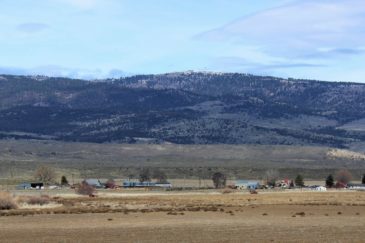 In addition to these fertile irrigated fields, there is plenty of rangeland pasture that include a small BLM pasture lease. As a new owner you’ll also have the advantage and pleasure of big game hunting with possible Land Owner Preference Tags for deer and elk (buyer to check with ODFW). Mountain View Hay & Cattle Ranch, what a great value and just reduced an additional $750,000! Priced well below replacement value at only $3,950,000.00. Seller has great motivation to sell! Make an appointment today, pre-qualified buyers only please, NO LEASE OPTION inquires. Cornett Loop Powell Butte Oregon from Fay Ranches on Vimeo.